The Indiana Division of Mental Health and Addiction (DMHA) notified Hamilton Center Inc. that the Vigo County, 620 8th Ave, Terre Haute site, has been found in compliance with the standards and requirements necessary to implement the Indiana’s Primary Care Behavioral Health Integration (PCBHI) Service Delivery System. The identified site has successfully completed the required processes and actions during the launch period from March 1, 2017 to October 31, 2017 to become an approved Integrated Care Entity (ICE). The Indiana Family and Social Service Administration (FSSA) and the Indiana State Department of Health (ISDH) established a process by which Community Mental Health Centers (CMHCs), Federally Qualified Health Centers (FQHCs), Community Health Centers (CHCs) and Rural Health Clinics (RHCs) may become a state certified integrated care entity (ICE). Hamilton Center staff worked for over six months to achieve this designation. Indiana Primary Care Behavioral Health Integration (IPCBHI) was developed through agency partnerships, commitment to collaboration, and creating the opportunity for the promotion, development, and implementation of bi-directional integrated primary and behavioral health best practices across Indiana. Indiana’s initiative to formally state approved agencies as Integrated Care Entities (ICE) is intended to provide quality, access, and long term sustainability for integrated care across Indiana. Behavioral Health includes both mental health and substance use disorders. National research has shown that a whole person approach to integrated primary and behavioral health service delivery facilitates and supports the triple aim of health care: improving the health of our population; enhancing the individual’s experience of care (including quality, access, and reliability), and reducing the per capita cost of care. An ICE, serving its local and regional areas, will deliver best practice integrated primary and behavioral health care to meet the health needs of the individuals in the communities where they live. This model of care requires a collaboration between the ICE and its community partners. 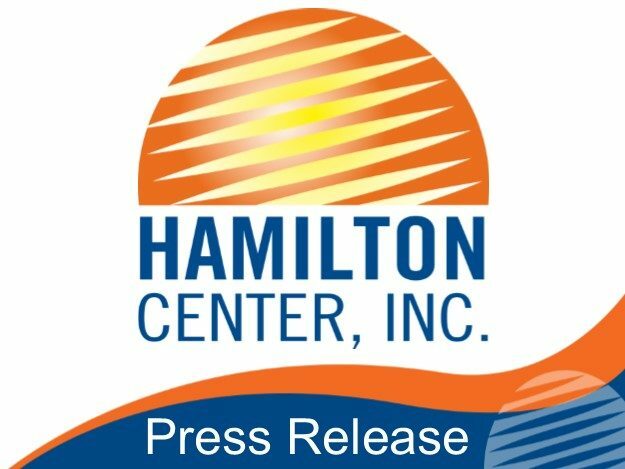 “We recognize that addressing our consumers’ primary and behavioral health needs at one time and in one location significantly reduces the barriers of seeking treatment,” said Melvin L. Burks, CEO of Hamilton Center Inc. “Not only does this provide quality care, but it is more convenient to the client,” he said. “People with serious mental illnesses many more years earlier than those without mental illnesses,” said Ahsan Mahmood, MD, Hamilton Center’s Chief Medical Officer. “Our goal is to positively impact those numbers by addressing both the mental illness and chronic health conditions that many of our consumers face,” he said. Hamilton Center is a regional behavioral health system in central and west central Indiana. The organization provides the full range of behavioral health and addiction services to people through the entire lifecycle – birth through older adulthood. The organization is certified through the State of Indiana and accredited by The Joint Commission for behavioral health.